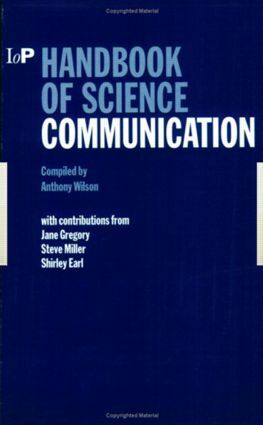 Addressing the lack of a specific book on core communication/presentation skills, the Handbook of Science Communication is written as a guide for students to speak and write effectively and as a reference for scientists who need to communicate their work effectively to each other and to the wider public. The book considers how the public understanding of science has changed with time and clearly explains how important the art of communication is for the effective communication of ideas. It continues with guidance on literature searches and the use of information sources, from the library to the live interviewee. The book also deals with how to write and speak effectively, working in a group, and working with the media. "… easy-to-read … full of sound suggestions … includes an excellent reminder of the basics of English grammar … the contents give the underpinning basics of science communication in its many forms."